Everybody hates remakes—even the ones that are really good/necessary—but it’s usually a good sign when the people who made the original are willing to accept the new one. It’s like saying, “Yeah, we put in all of the work to create this piece of art, but feel free to enjoy this thing that’s exactly the same. We get paid either way.” Truly heartwarming! 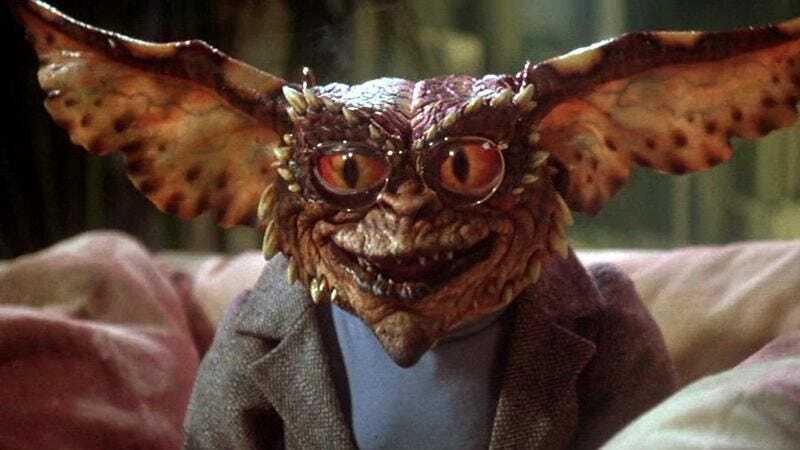 Gremlins director Joe Dante doesn’t want any part of that nonsense, though. According to The Hollywood Reporter, when someone asked him if he’d be involved in Warner Bros.’ Gremlins remake, he responded, simply, “No, because I don’t own the project. It’s owned by other people.” If the matter-of-factness there dosen’t make his opinions on the remake clear enough, he later elaborated by offering his opinion on remakes in general, saying, “They remake pictures that people just didn’t want to see remade. Did anybody really want to see another RoboCop?” Maybe you should call RoboFireFighter, RoboCop, cause you just got burned. Whether Dante likes it or not (he doesn’t), the Gremlins remake recently hired screenwriter Carl Ellsworth (the Last House On The Left remake, the Red Dawn remake) to put a new spin on what happens when cute, furry things turn evil and scaly—if there are any new spins that Gremlins 2 didn’t already put on it, at least.